Rachel Marsh has an essay called On the Internet and On the Street No On Knows the Artist is a Dog in GENERATORprinthouse’s newsletter. Also, her story “The Yellow House” was published by Exegesis. When I was with Rachel in Scotland (in 2007), I visited the real Yellow House with her and sat in on her writing group’s meeting when everyone read what they’d written about the house. I even have my own version of “The Yellow House” somewhere. You should check out Rachel’s, and see what she wrote on her blog about publishing this piece in 2013, almost entirely unchanged since it was written in 2007. Least Favorite Love Songs now has three episodes up from its second season. Check them out. This webseries is produced by a small, incredibly talented crew of locals, so I’m bragging on them collectively. CavanKerry Press will be publishing Brent Newsom‘s book of poetry Love’s Labors. After a successful fundraising campaign, DaVida Chanel‘s play “Hip Hop is Alive” traveled to the Atlanta and Chicago Fringe Fests this year. “Hip Hop is Alive” was performed at the New Orleans Fringe Fest in 2011. Dub Lee and Chris Odinet‘s house was featured in The Advocate, also showcasing some of Dub’s gorgeous paintings. Left Hand Press will publish Susan Kagan’s Basic Wiccan Ethics. Here’s a great short documentary on Montana Miller and her aerial/acrobatic career. In addition to his general awesomeness and lots of readings about town, Maurice Ruffin has an essay in the “cultural atlas” Unfathomable City (pg 133). It’s a beautiful book, full of local folks, so check it out. Here’s a great review in the Chicago Tribune, which mentions Maurice’s essay. Joselyn Takacs‘ story “Something Irrevocable” was finalist in the 2013 Narrative 30 Below contest. She was also a finalist in 2011 with her story “Flares of Little Warning,” available here. 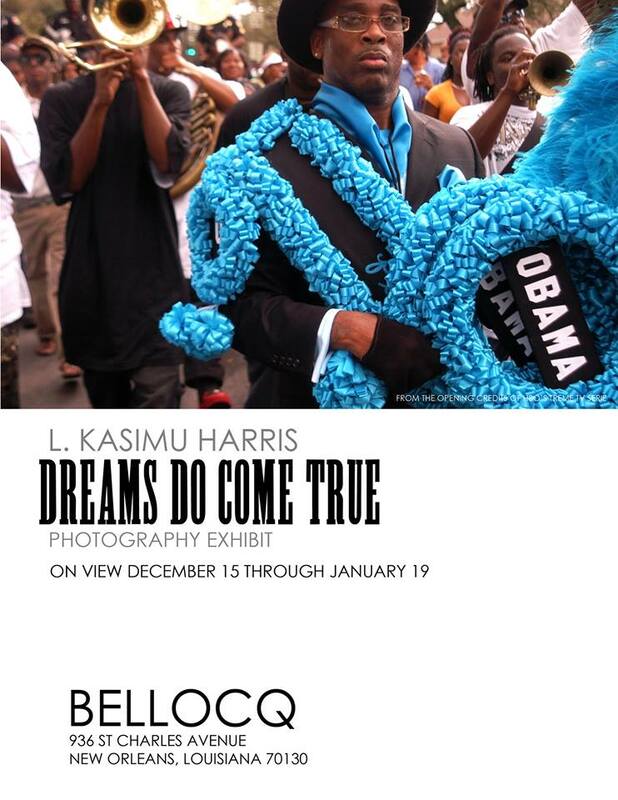 “Dreams Do Come True,” a photo exhibit by L. Kasimu Harris is at Bellocq through January 19th. Mary McMyne‘s story “Lilith,” a retelling of how Lilith is cast out of Eden, will be published by NewMyth.com. Her chapbook Wolf Skin will be published by Dancing Girl Press and her novel-in-progress The Book of Gothel received a Sustainable Arts Foundation grant. Melissa Remark wrote the film Call Me Cappy, which just wrapped production. 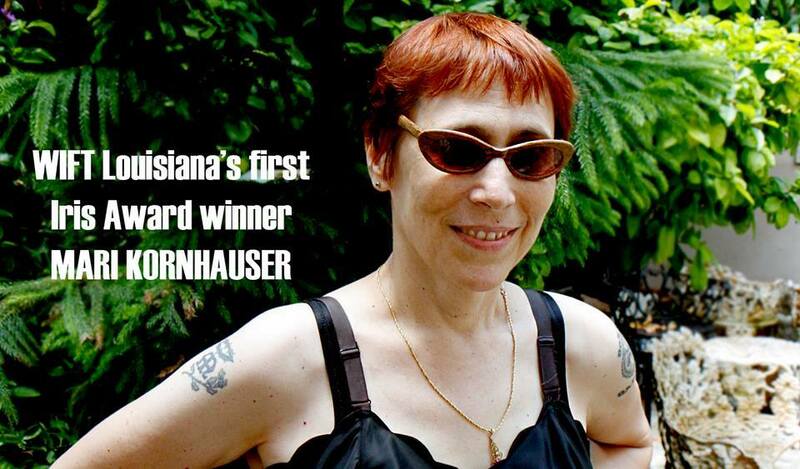 Women in Film and Television (WIFT) Louisiana just named Mari Kornhauser the winner of its inaugural Iris Award for Outstanding Contributions to Women in Film & Television. Veronica Brown‘s The Daughter of the Puppet King will be published next year. Jamie Amos has a story coming out in the Florida Review called “A Good Dog Buries Its Bone” and was just named Assistant Nonfiction Editor at the New Orleans Review. Hila Ratzabi has a poem at Women Poets Wearing Sweatpants. Spillway Magazine has published poetry by Alison Grifa Ismaili. Jamey Hatley has just published an essay about the art of postcards at The Toast. Many of my former and current brags are listed in Chris Waddington’s “Top 10 Books of 2013 for New Orleans readers” and there is a smorgasbord of brag-worthy writing in the newly released The Double Dealer. Work by Peauxdunquians Terri Stoor, Cassie Pruyn, Tad Bartlett, J.Ed Marston, Tom Carson and yours truly (pg 410), as well as Rodger Kamenetz, John Biguenet, T. Geronimo Johnson, Harold Ellis Clark, Jennifer Steil, Chris Tusa, Alison Grifa Ismaili and Elsie Michie, among many, many more. You could spend weeks reading the excellent writing in the 400+ issue of The Double Dealer and I hope you do. That should see you into the next year. I’ll be posting my regular end-of-the-year posts over the next few days and the brag will be back in 2014, have no fear. Bragging on my friends and colleagues is my favorite thing to do! The awesome people in my life give me no shortage of opportunity to brag on them, either. Check it out! “At the end of the meal, Overmyer asked Kornhauser, who has professional experience in feature filmmaking, what she thought about writing for television. What she will add to the show goes far above and beyond the previously missing feminine touch. She’s a phenomenal writer and teacher and Treme is lucky and smart to have her on their team. I was already excited for the second season of Treme since it was an amazing experience to watch season one with friends at local bars and because Dave does some work for them. But now, I’m doubly – no, triply – invested in the show. 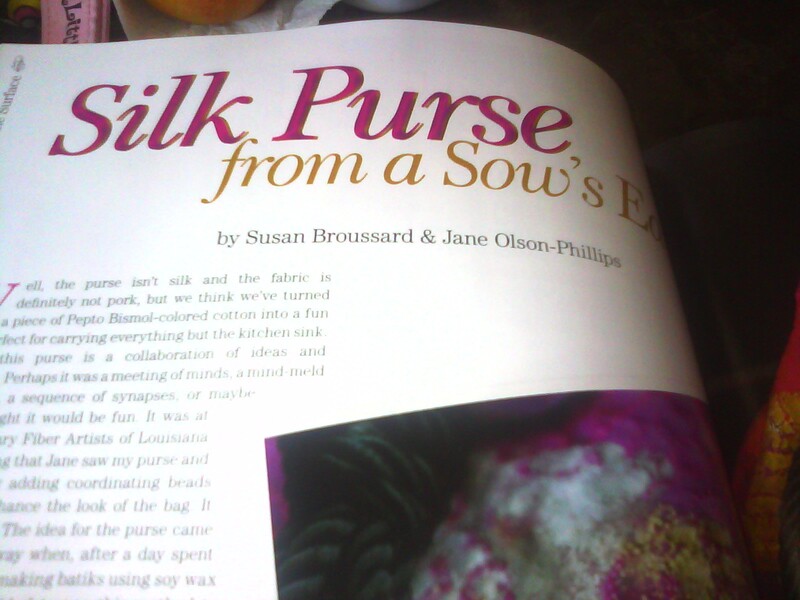 My friend Susan Broussard wrote a piece for the September/October issue of Belle Armoire about a purse that she and a friend made. Susan calls the purse a “sister” to one she made me. It looks almost identical, except for the beading. Check out these pictures I took of the article inside the magazine. 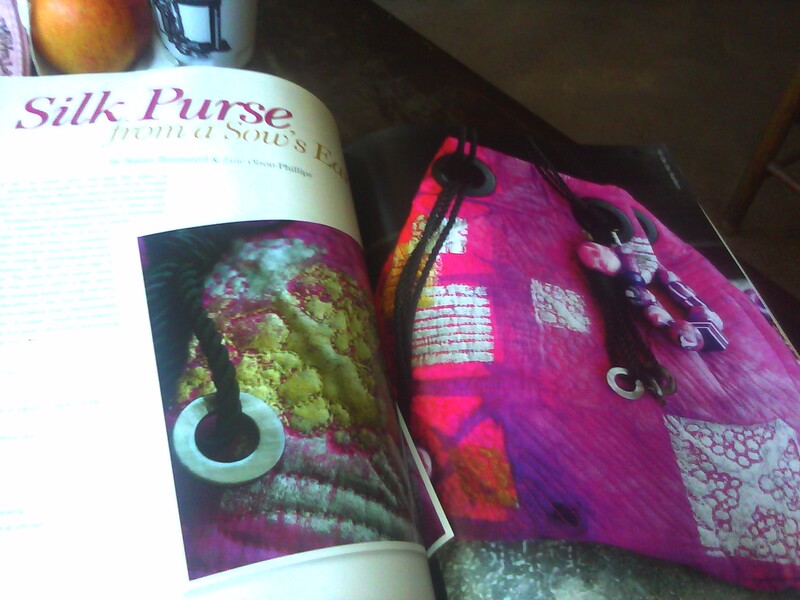 A 2-page image of the first part of the article and the image of the purse. A more detailed image so you can see Susan’s name. 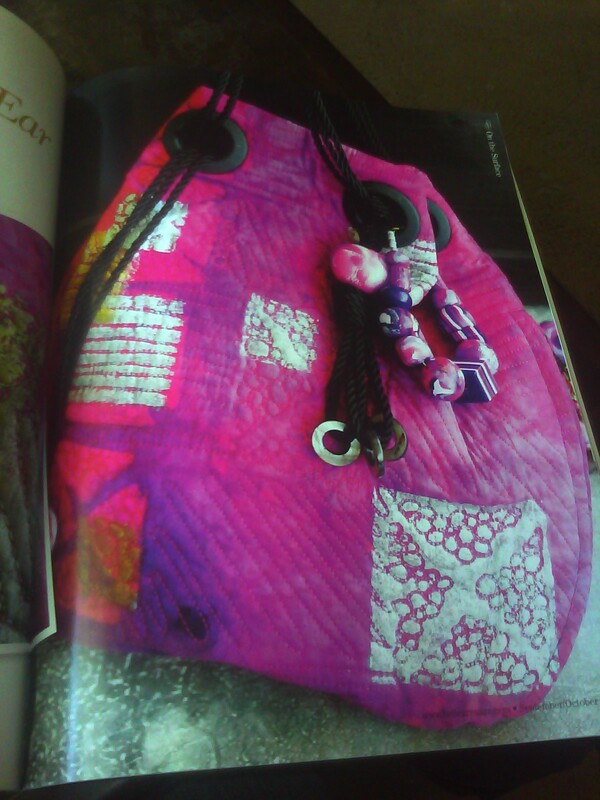 More detailed image of the purse. You are invited to a reading of a new play by Robert Landy at Audubon Zoo’s Dominion Learning Center Auditorium Sunday, October 17 at 2 p.m.
“Letters from Sing Sing” is about an extraordinary relationship between Michael, an incarcerated felon, an African-American man from the Jim Crow south of the 1950’s and Julia, a Caucasian woman, 30 years his elder, a volunteer teacher at Sing Sing, a philanthropist and prison re form advocate. Inspired by actual letters exchanged over a seven year period, the play delves deeply into the realities of crime and punishment and the redemptive qualities of relationship and love. Robert J. Landy, playwright, is a Professor of Educational Theatre and Applied Psychology, as well as the director of the Drama Therapy Program, at New York University. “Letters from Sing Sing” originated in his work in the prisons. Co-directed by Linda Cook, local arts educator/actress/drama therapist in CT and RI prisons, and Dr. Donald Brady, award-winning playwright/actor/director/social activist and Professor Emeritus from Loyola University, the play features Linda Cook as Julia and Maurice Ruffin, an award-winning writer and local attorney active in social justice causes, as Michael. This is a work-in-progress and constructive, critical feedback is invited. Following the reading, there will be an audience discussion with the playwright and a reception. Admission is free. Speaking of Maurice, this is a two-fer on the brag front because I just got word that his story The Pie Man was the first runner up in the Faulkner-Wisdom short story category. The news hasn’t been added to the winners/finalists page yet, but will likely be updated soon. Congratulations, Maurice and everyone who was recognized in the course of the contest. My newest 225 piece is up on the website, a review of the book Treasures of LSU, which catalogues a grand multi-location celebration of LSU’s 150 anniversary by highlighting its treasures and history. This one made me really nostalgic for my time at LSU and I made a lot of incredible discoveries. One thing I realized was that I’d never actually seen the inside of the Old State Capitol Building and, as a result, I checked it out yesterday with some friends while I was in Baton Rouge. It’s a great book, so check it out. Filed under bragging on, freelance work, Friends, New Orleans, pop culture, t.v.